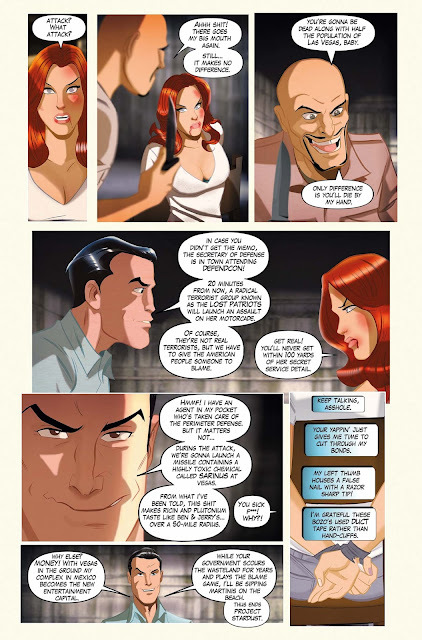 SCARLETT COUTURE Issue #4 Advance Art Preview | Warped Factor - Words in the Key of Geek. 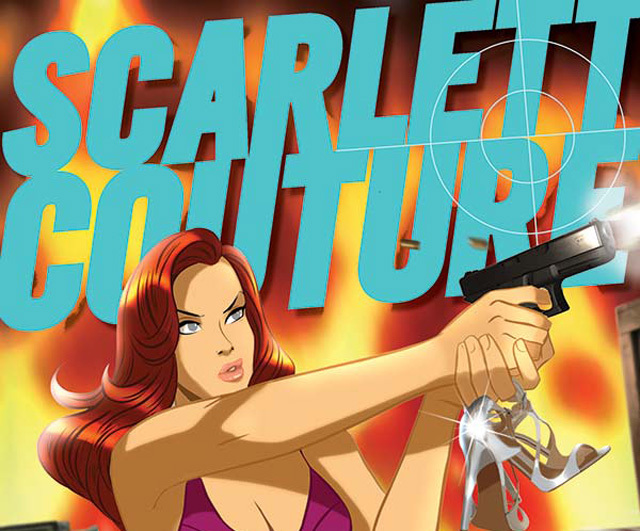 Next Wednesday, July 29th, sees the release of the action-packed finale of Scarlett Couture by writer/artist Des Taylor! 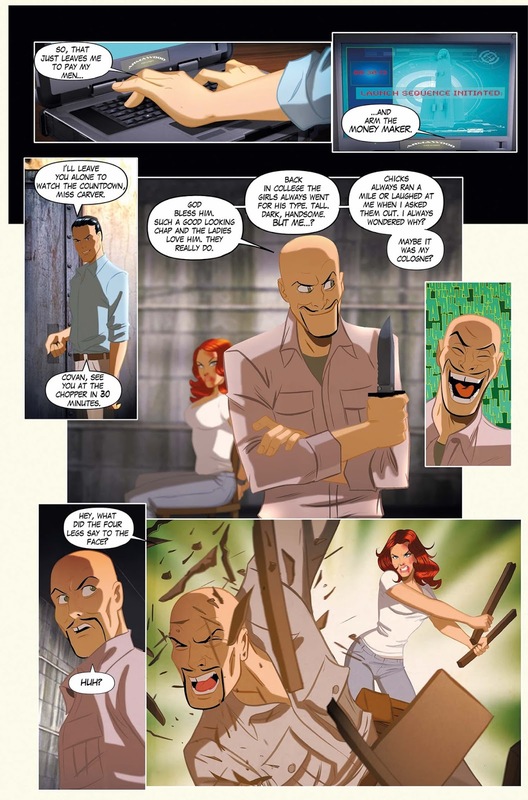 In the action-packed finale, Scarlett and Trent are imprisoned by the villainous Dante Ramon when they learn of the impending destruction of Las Vegas. 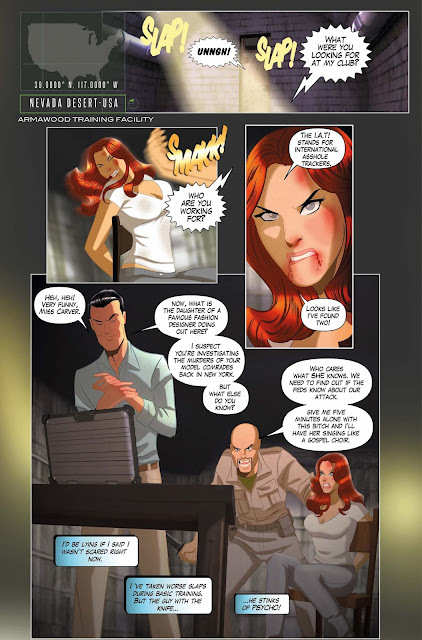 With less than an hour to stop the devastation, Scarlett and her team must do everything they can to save hundreds of thousands of lives, and finally uncover the evil mastermind behind it all. 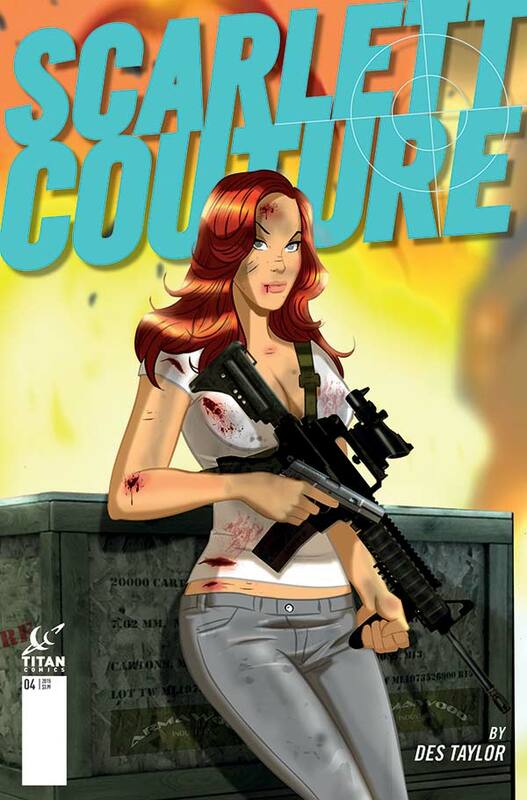 Scarlett Couture #4 comes with 2 covers to collect. Find out more about Scarlett Couture #4 here.